The Banelord metal bits are used on a MKII Warlord titan body. A MKII Gorgon is merged with a MKII Baneblade. 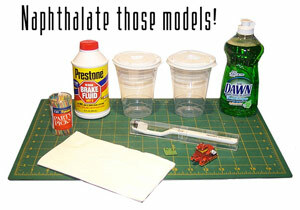 This method works for acylic and most primer paints on both metal and plastic models.